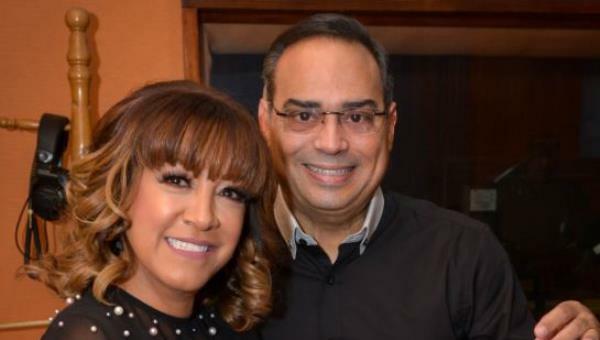 Milly Quezada and Gilberto Santa Rosa celebrate the opportunity to work together again in the new song that unites their voices and accentuates their chemistry of friendship that exists from decades ago. The new song “Rutina”, is a bolero that addresses a common conflict in many relationships: the routine. Both artists agree that routine is a difficulty that can turn off the fire of love and bring a relationship to an end. Gilberto is happy to repeat the experience of collaborating again with the Dominican artist as this is not the first time they have joined talents. He produced her first Latin Grammy’s Album winner “Pienso Así” on 2003, which included the song “Tanto Que Dije” (a featuring song of MILLY with Gilberto and Victor Manuelle). Previously, they collaborated on “Siempre Amigos”. “First, ans foremost I’m Milly’s friend, because friendship always prevails, and then, I’m a big fan of her talent. Milly is the singer who taught all female artists to sing Merengue… I admire her authenticity! Milly’s talent shines through her personality! All Salsa singers are fans of Milly Quezada as well!“, Gilberto Santa Rosa said during the interview for Ultima Hora of Puerto Rico. Although the specific date of the release has not been revealed, the single will be available on the streaming platforms in the coming weeks and will be part of Milly’s 34th album which will be called “Milly & Company”.